You will of noticed I have quite a few of them (find some previous outfit posts here and here). 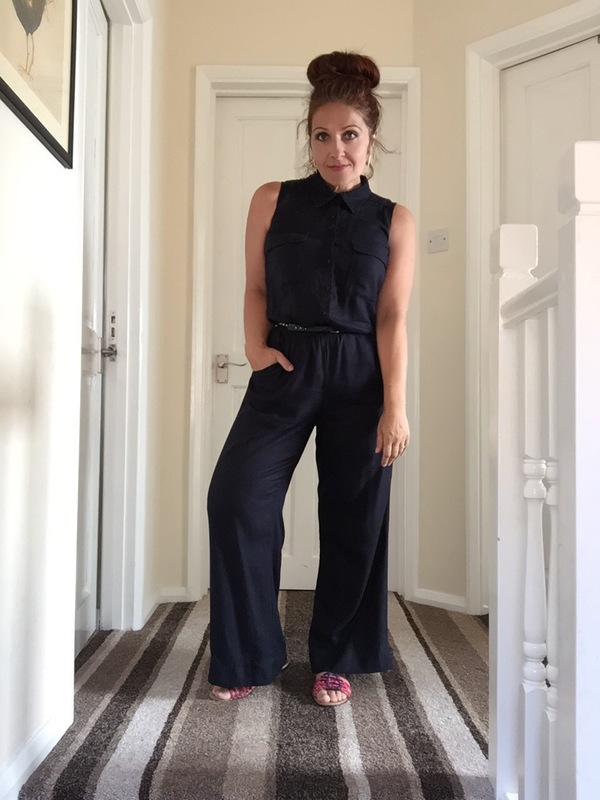 They are very easy to wear and flattering and don’t take a lot of styling – less is definitely more in the case of a jumpsuit. 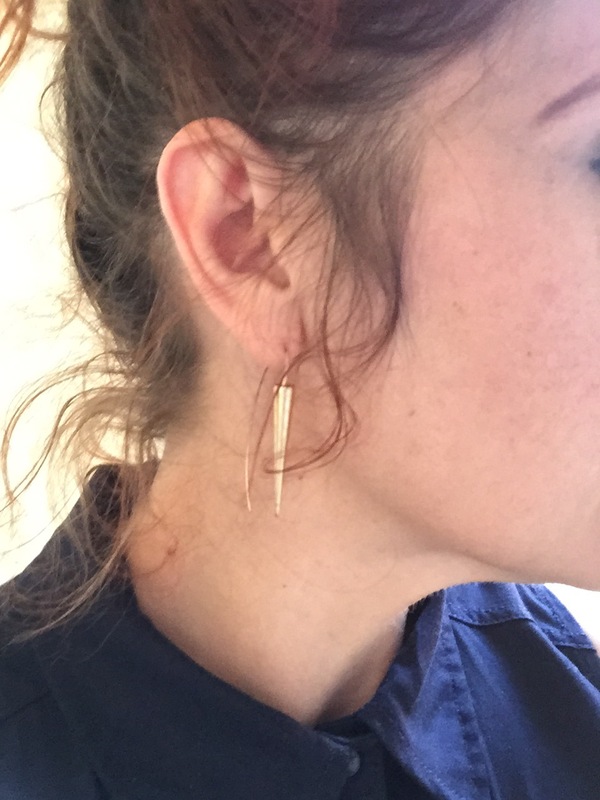 Todays (well tonights) look is for a date night with my lovely fiance. We try and make sure we always make time for each other and a romantic meal out is perfect for that – with 4 kids between us and busy lives its key really! 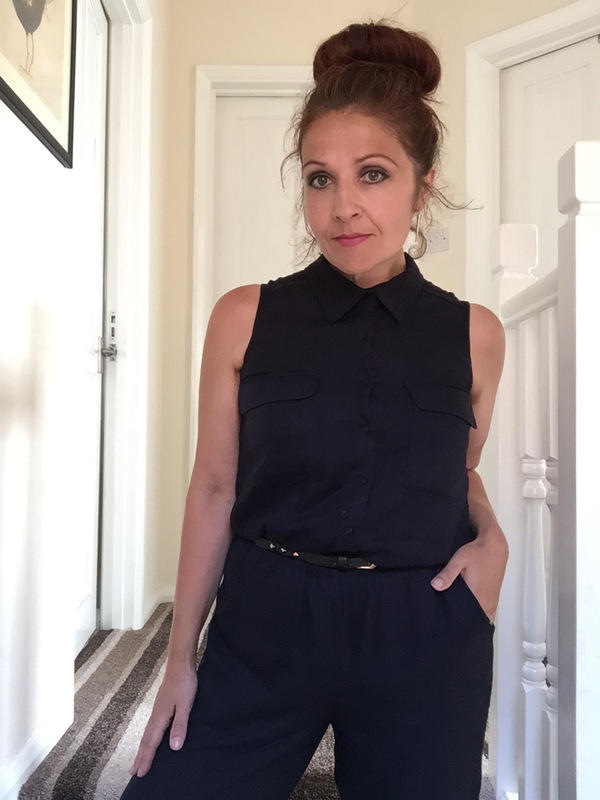 I am wearing a gorgeous sleeveless navy cotton jumpsuit from Next Petite. It buttons up to the neck like a shirt and looks so elegant. The wide leg shape balances the fitted top and it has pockets, something I just love styling wise. 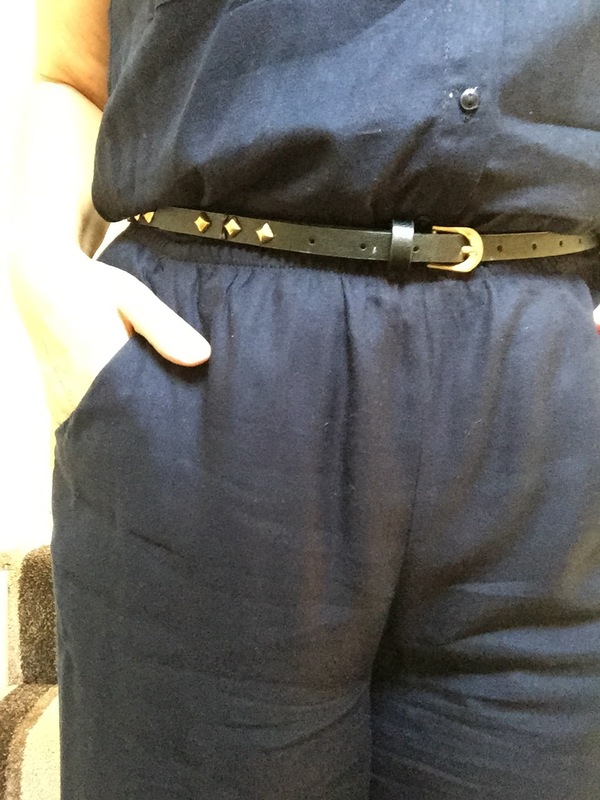 For sizing I am wearing a UK 10 (it has an elasticated waist) but I did have to shorten it! Yes, I am so short, a petite item was too long!!! If youre below 5’3″ I’d imagine you’d have to so the same – I shortened it by about 2″ which on the plus side, means I can wear flats with it too. A studded skinny belt and earrings from Forever21 with with gold details accessorise the look. The belt cinches in the elasticated waist and draws your eye to the most narrow part of the body. And on my feet, my new Primark sandals – the pop of cerise against the navy works perfectly and livens up this dark outfit. As its a date I wore more make-up than I usually do and styled my hair into a messy bun. 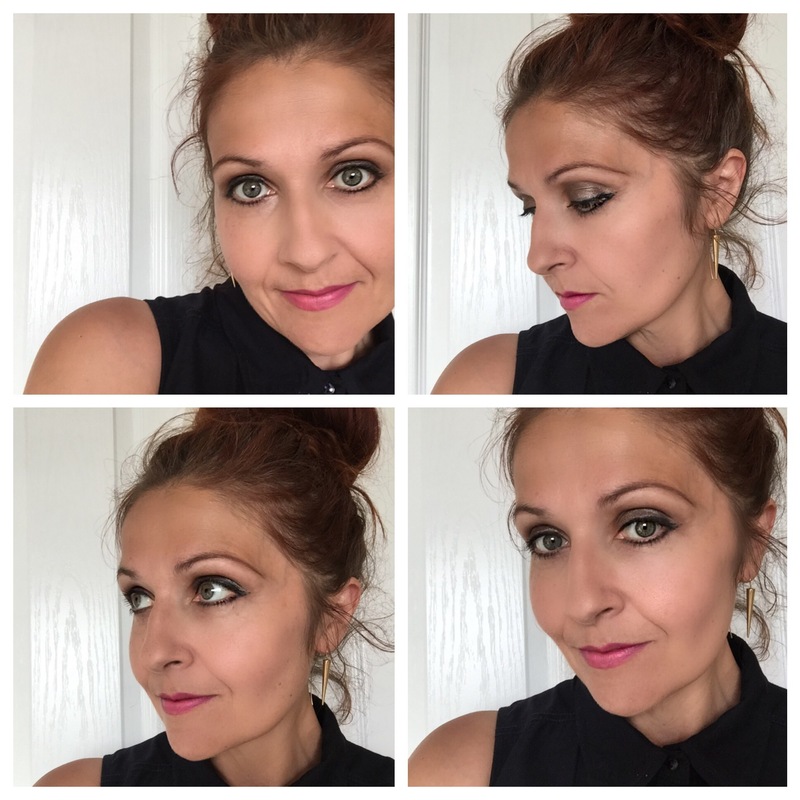 Lips – Make Up Gallery lipstick Purple Pop (find my review on their make up range here). I loved this look and felt fabulous in it. It is dressy but doesnt look like its trying too hard! Do you enjoy a date night with your other half? What do you wear to make it feel special?